Brand New Home Ready Now! Favorite model home floorplan with a welcoming two-story foyer! Warm and cozy hearth room with a fireplace off the kitchen nook. Gourmet kitchen with stainless steel appliances, spacious center island with farm sink and upgraded cabinets throughout. Large owners suite with lots of windows and dual closets, owners bath with split vanities and freestanding soaking tub. Energy Star Certified and HERS rated! Heirloom amenities include: community pool and clubhouse, open space, and recreational areas. Intimate neighborhood where neighbors become friends. 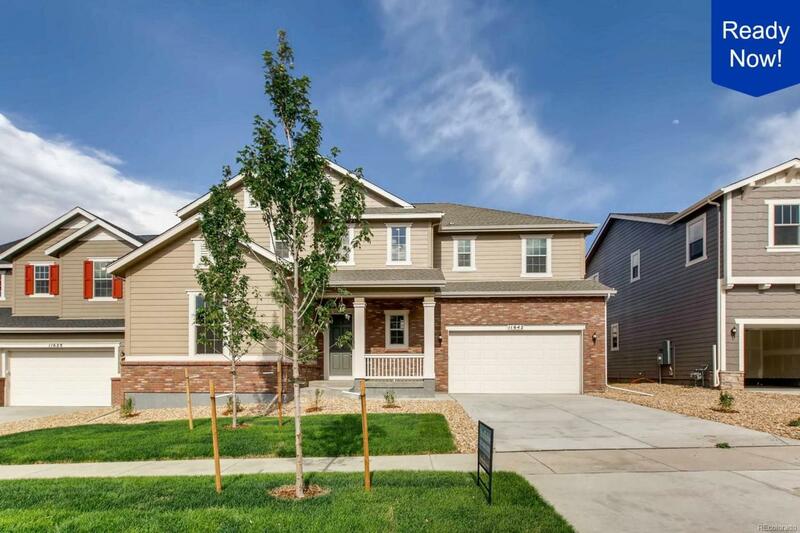 Convenient access to Lone Tree, Park Meadows, the Denver Tech Center, and the town of Parker. Enjoy easy access to open spaces and trails.